His Excellency Governor Andrew Pearce says he has full confidence in the capability of the RFA Mounts Bay to assist Montserrat in the event of a disaster during the Hurricane Season. Governor Pearce received a firsthand view of the ship’s capacity during its visit to the island last week. 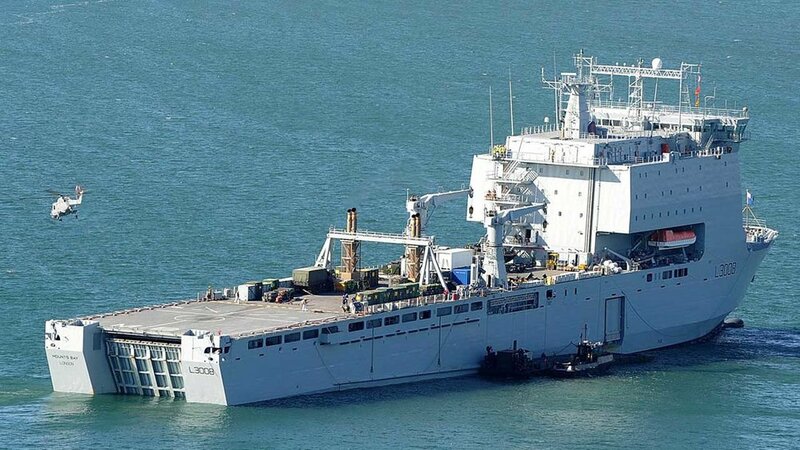 During the three day stay the RFA Mounts Bay undertook several exercises designed to demonstrate its effectiveness in responding to emergencies at short notice. Speaking on the Breakfast Show on Wednesday Governor Pearce also said he was reassured by the calm and confidence of local disaster response agencies such as the DMCA, the police, defence force, among others. Meantime Governor Pearce says the first of emergency equipment will be on island shortly. Governor Pearce says Montserrat would also be receiving vital emergency communications equipment.